It was unlike any moment, unlike any tragedy. May 24, 1881. London, Ontario. Hundreds drown when the Victoria steamer sinks in the Thames River, and fate entangles its survivors in love and longing, mayhem and murder. Garth Hannagh, a man trapped in a hateful marriage kills for his freedom, a soulless crime witnessed by a boy who runs for his life. No one escapes from having their hearts broken, but all are hell bent on mending them. 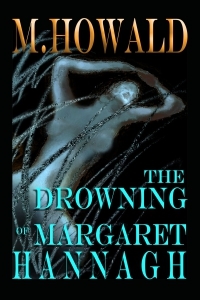 The Drowning of Margaret Hannah is set weeks after the heinous Donnelly massacres and trials that made the London police force and judiciary into a circus of bumbling amateurs.